Hypothyroidism can be caused by a variety of things. In this country, diet is the main culprit. Our food supply is so deficient in nutrients and loaded with anti-nutrients that it’s really no surprise we are experiencing health problems in epidemic proportions. Vegetable oils (polyunsaturated fats) are a huge contributor to hypothyroidism, obesity, cardio vascular disease and other health problems. These are man-made foods that have only been around since the early 1900s, with soy oil becoming the number one cooking oil by the 1950s. Soy products, like soy oil and protein, contain extremely high amounts of goitrogens. Goitrogens are naturally occurring substances that interfere with the normal function of the thyroid gland by blocking the synthesis of thyroid hormones and slowing ones metabolism. Before inexpensive polyunsaturated fats became common place, beef tallow, lard, olive oil and tropical oils were in use; heart disease, hypothyroidism, obesity, diabetes and other diseases were but a fraction of the incidence they are today. 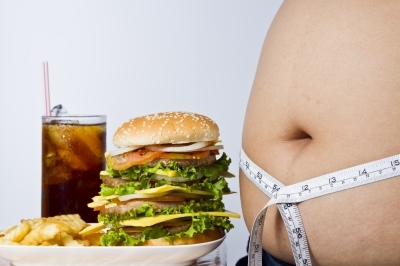 low testosterone levels put men at risk for cardiovascular disease, diabetes and early death?? 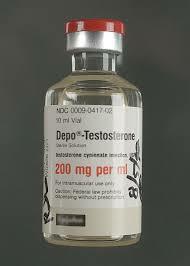 One study shows that testosterone treatment reduces LDL cholesterol and increases HDL cholesterol.? Another study that looked at the cause of death in almost 2000 men aged 20 to 79 years.? The men with low testosterone at the start of the study had a 2.5 times greater risk of dying during the next ten years compared with men with higher testosterone levels.? These studies, and more, will be presented at The Endocrine Society’s annual meeting, in San Francisco, suggest that testosterone therapy has several positive effects. A cardiovascular specialist specializes in issues related to the cardiovascular system, which is made up of the heart and circulatory system. Some cardiovascular specialists (also “vascular” specialists) work with patients that have existing conditions, while others focus on diagnosis and treatment. Still, some work in adult or pediatric treatment and others work with specific issues such as transplants, defibrillators or artificial hearts. Some vascular specialists work in all areas of vascular health from prevention to treatment. The Society of Interventional Radiology allows users to search for doctors by specialty using the sites “Doctor Finder.” The Society for Vascular Surgery of the American Vascular Association has a “Find a Vascular Specialist” feature that allows users to search by state, country and/or name. The Society for Vascular Medicine “Physician Finder” allows users to search for vascular specialists by state. For information about cardiovascular health, visit the American Heart Association at www.heart.org.